A training guide for schools and communities featuring tips for advocacy meeting preparation and follow-up, a 90-minute training agenda, sample advocacy letters, meeting planners, and more! 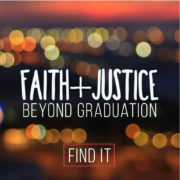 Stay in Love, the 16-page booklet and corresponding website, offers options for young alumni to learn, serve, pray, grow, network, and act for justice in the Jesuit network, no matter where they land after graduation. 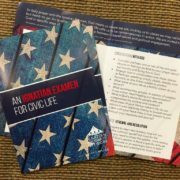 The Ignatian Examen for Civic Life calls us to be contemplatives in action. We are invited to talk with God in specific ways about the interrelationship between Gospel values and political engagement.